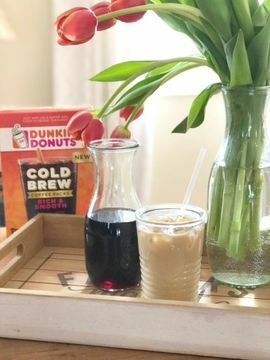 I am a life + style blogger and mom of two little boys, so you can imagine my days start and end with coffee which is why I’m delighted to be taking over the Dunkin’ Donuts Behind the Beans blog today! I love inspiring others and reminding them that just because we are moms we can still look and feel fabulous even while going through the day-to-day activities of mom life. Be sure to stop by at www.fromthefamilywithlove.com. 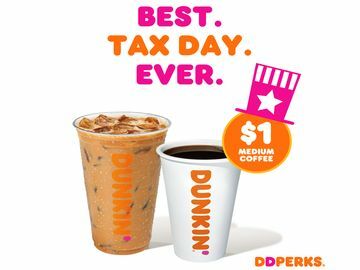 This post is sponsored by Dunkin’ Donuts Coffee At Home. All thoughts and opinions are my own. Ah, June. April showers, May flowers and now June humidity. 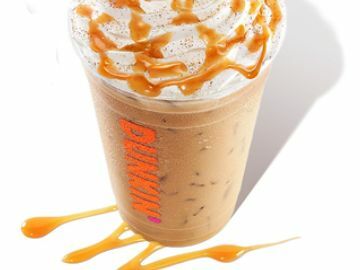 Lazy summer days have just about arrived and the warm hats and mittens are finally packed away and have been replaced with fun sunnies and cold cup tumblers. To get you excited about the warm days upon us, I'm sharing my Summer Must-Haves. These items are perfect for bringing to the beach or relaxing in the back yard on your hammock. 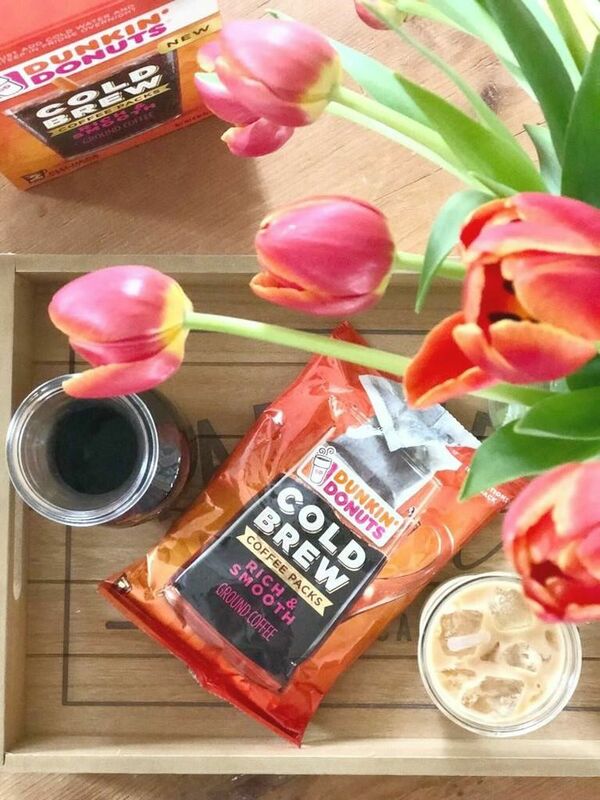 My number one must have for this summer is definitely the Dunkin’ Donuts® Cold Brew Coffee Packs. The convenience of these packs ensures I'll be using them again and again all summer long. I just add two of the coffee filter packs and 4 cups of water to my pitcher. After letting it brew in the refrigerator overnight I remove the filter packs, add 3 more cups of water and serve over ice with my favorite sweetener and milk. 1. 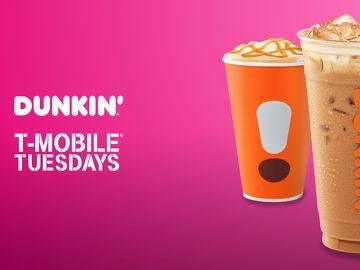 Stylish Sunglasses: My go-to is an oversized pair of black sunnies for the summer - perfect to wear while relaxing outside and sipping your Dunkin' Donuts Cold Brew. 2. Crossbody Basket Bag: Basket bags are a huge must have again this summer. They come in all sorts of natural materials like straw, bamboo and wicker. And with so many shapes and sizes to choose from there is one for every occasion whether brunch, the beach or a night out on the town! 3. 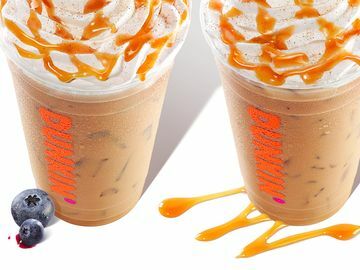 Dunkin Donuts Cold Brew Coffee Packs: I'll be brewing Dunkin' Donuts Cold Brew Coffee Packs all summer. My favorite part is that these 100% Arabica bean filter packs can be made to serve a crowd, or by using only one filter pack I can brew just enough to keep me going for the day. 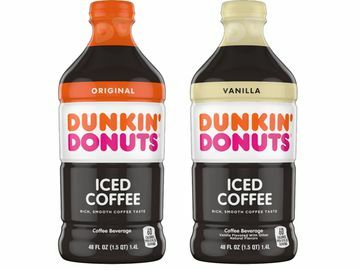 For more information on my favorite Must Have be sure to visit https://www.dunkinathome.com/whats-new/cold-brew-coffee-packs. 4. New Books: Make sure to pick up some new books to read at the beach or on the porch! 5. Tumblers: Cold drink tumblers are perfect for your Cold Brew, and they come in super cute and stylish designs to dress up your coffee!